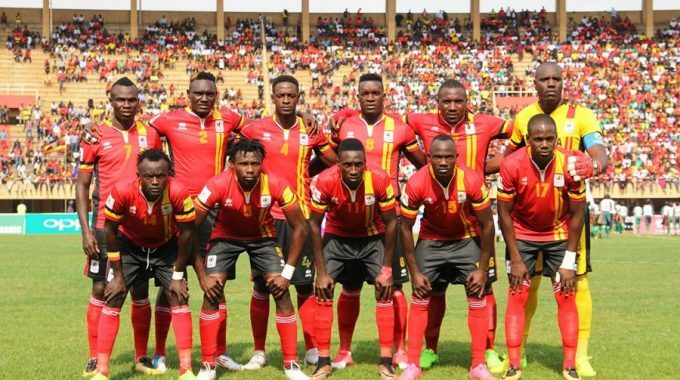 The Uganda Cranes head coach, Sebastian Desabre has summoned a team of 30 players ahead of the Tanzania game in the AFCON 2019 qualifiers. “I am confident in the players summoned, said Desabre. “All the players are very motivated and ready to give their best. “Personally, i have done the research and follow up on most players. “We shall start training on 1st September 2018 with a crop of locally based players before the rest of the foreign based will join on 3rd September. Concerning the status of team captain Dennis Onyango, the coach assured the country that Onyango is fit to represent his country. “I spoke to him (Denis Onyango) just a few days ago and he has recovered well. He is also set to fly to Morocco for the CAF Champions league. The team that was announced on Wednesday morning at FUFA House, has seen much of the core that has been featuring for the Cranes in the recent past retained including, Captain Denis Onyango, Godffrey Walusimbi, Hassan Wasswa Mawanda and Faruk Miya. Yeovil Town defender Bavis Mugabi has been dropped from the side despite featuring for his club in their 2-2 draw at home to Mansfield Town over the weekend. The tall center back’s spot has been taken by Murushid Jjuuko who is currently training with Vipers SC after refusing trails at Orlando Pirates in South Africa. Shaban Muhammad, Muzamir Mutyaba and Geoffrey Sserunkuma have also been under looked this time round despite the later scoring Uganda’s only goal in this year’s campaign. A total 12 local based players including five from KCCA-Charles Lukwago, Timothy Awanyi, Saddam Juma, Allan Kyambadde and Patrick Kaddu, have been called up. The surprise call up has been Onduparaka FC goalkeeper, Nicholas Ssebwato who receives a maiden summon to the senior side. Ssebwato had a brilliant 2017/18 season with the Caterpillars, conceding a second league low of 17 goals in the entire campaign. He replaces troubled custodian, Robert Odongokara who has had injury issues for a while now. Uganda is in group L alongside Lesotho, Tanzania and Cape Verde Islands. The Cranes defeated Cape Verde 1-0 in their first game of the qualifiers in July last year thanks to a late Geoffrey Sserunkuma goal. After Tanzania, they will face Lesotho in a double header a month later. Goalkeepers: Denis Onyango (Mamelodi Sundons), Charles Lukwago (KCCA FC) and Salim Jamal Magola (Al Merreikh) and Nicholas Ssebwato (Onduparaka FC). Defenders: Denis Iguma (Al Nabi Shayth), Nicholas Wadada (Azam FC), Murushid Jjuuko (not attached), Isaac Isinde (Kirinya JSS), TimothyAwanyi (KCCA FC), Isaac Muleme (Assiouty) and Godffrey Walusimbi (Gor Mahia) and Mustafa Mujuzi (Proline FC). Midfielders: Joseph Ochaya (Lusaka Dynamos), Hassan Wasswa (El Geish), Khalid Aucho (East Bengal), Tadeo Lwanga (Vipers SC), Milton Karisa (Vipers SC), Allan Kateregga (Cape Town City), Faruk Miya (Standard Liege), Moses Opondo (Vendsyssel), Moses Waiswa (Vipers SC), Allan Kyambadde (KCCA FC), Yasser Mugerwa (Fasil Kenema) and Saddam Juma (KCCA FC). Forward: Yunus Ssentamu (Tirana), Emmanuel Okwi (Simba), Edrisa Lubega (Floridsdorfer AC), Patrick Kaddu (KCCA). Luwagga Kizito (Bate Borisov) and Darrick Nsibambi (Smoha).